Content is as much a part of everyday marketing online as writing an Google Ads campaign. There is strength in content, whether that be written, video, podcasting, infographics or the many other styles that are available to us on the web. But just because content is king doesn’t mean that all of it is created equal. You have to watch what you put out there and establish which pieces are generating the most return. Part of that is through basic post-publication analytics, while some is more about the auditing to see what may be hindering performance. At every stage, here are ten analytics tools that can save your life (or at least save you some time and frustration). Let’s get the obvious one out of the way, first. Google Analytics is pretty much the go-to for free content analysis. While there are honestly more thorough tools out there, those are all about the filters. The information is generally coming from Google in the first place, making this the direct source. I would suggest everyone have a Google Analytics (or an alternative) account open and operating before moving on to any other tools. Google Analytics is easy to integrate in any analytics dashboard (like Cyfe which I discuss further or even your WordPress dashboard using themes and plugins listed here). Some people are not willing to give Google access to their stats. While I am not a big fan of conspiracy theories, I can understand their concerns. For those, I suggest giving Piwik a try. It’s self-hosted (so you can keep your data to yourself) and free! 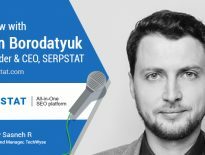 Serpstat is a multi-tool SEO powerhouse in a single dashboard. It includes SEO crawling, rank tracking, backlinks, page analysis, SEO benchmarking and competitor analysis. In spite of all the features it is surprisingly easy to use snd very affordable. 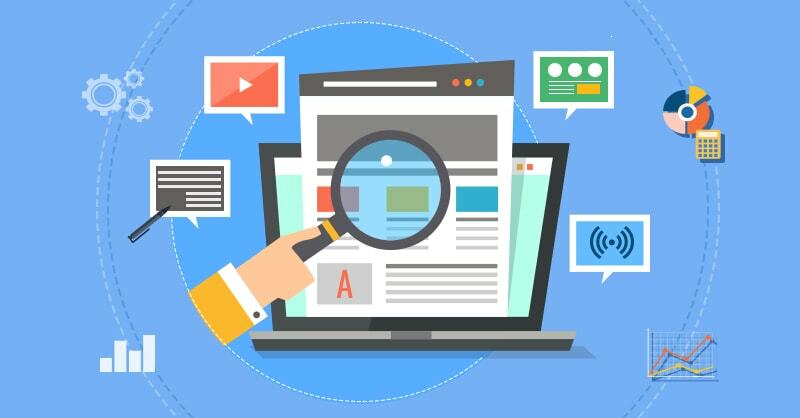 You run a report on the chosen site (and it can be any site), and get it back within seconds with clear steps how to increase your score and how to outperform your competitors. Content isn’t just a marketing concern. Your entire website is made up of the stuff and a problem on one page can throw off the SEO for your entire site. 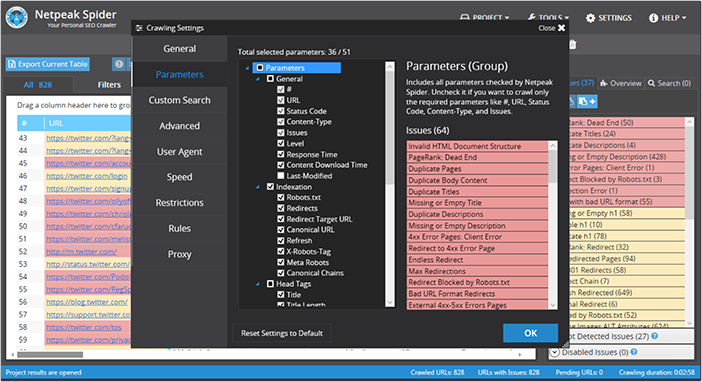 Netpeak Spider is an advanced crawler that goes through everything you have published, including main pages, to find potential issues to correct. Nobody likes clickbait. But there is a difference between that bait and switch tactic that fails to deliver and having a solid, traffic driving headline that brings people to your content. The Headline Analyzer from CoSchedule. They do ask for some information to use the tool, such as name and email. But otherwise it is a free service, which makes it worth filling out the short form. You are presented with ton of information and suggestions to improve your headline, including the preview of how it will look in search results and in an email inbox. It’s a great start for more indepth analysis and get a bird’s eye view on your analytics. Lead generation is the most efficient way to monetize your content because readers are not usually ready to respond well to your primary call-to-action (i.e. “buy now”) but they are likely to sign up to your list. Salesmate is a perfect way to keep track of articles tend to send actually verifiable leads. It keeps all the information handy including the original referral, contact info, products / services your readers were most interested in, etc. 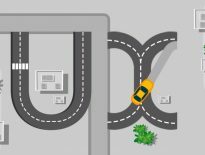 It’s a great way to translate traffic into actual sales data. In the past social media and content have been seen as two different marketing branches that have only related to one another in the way that one could promote the other. Now we see social posts as content in the same way that a blog post or video is. The process is deeply intertwined, as well. So when auditing content we can’t forget to analyze our social media activity. Quintly is a great social media analyzer that acts as a competitor benchmarker. You can see how you stack up and make changes to compete. It is costly but a great tool if you want to see real results in your social content. There are more options listed here. Your content originality is something you should be monitoring constantly. You don’t want anyone to use your content to compete with you in search results. And you want to keep your writers in check for them not to use other people’s content (that could result in a major reputation management crisis). 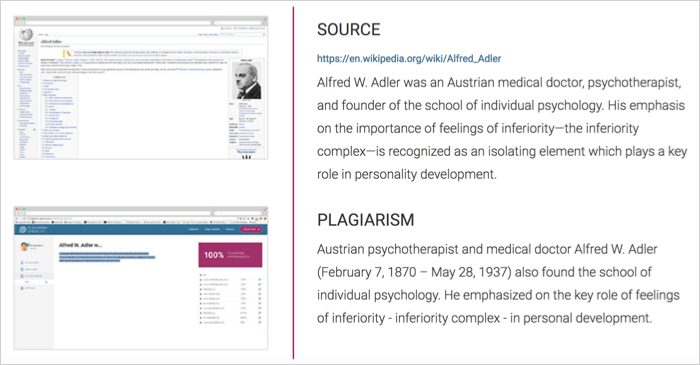 PlagiarismCheck is the tool I am using to analyze my content originality. It stores all previously checked URLs for you to easily rerun the analysis at any time. 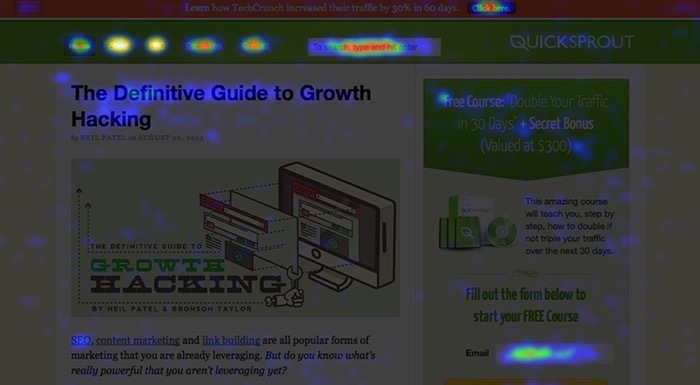 I love heatmaps to better understand how user interact with my pages. Which images attract their eyes most. Which buttons get clicked? Which forms get ignored? Crazy Egg is a most obvious choice when it comes to those important insights but there are more alternatives, so go ahead and take your pick! 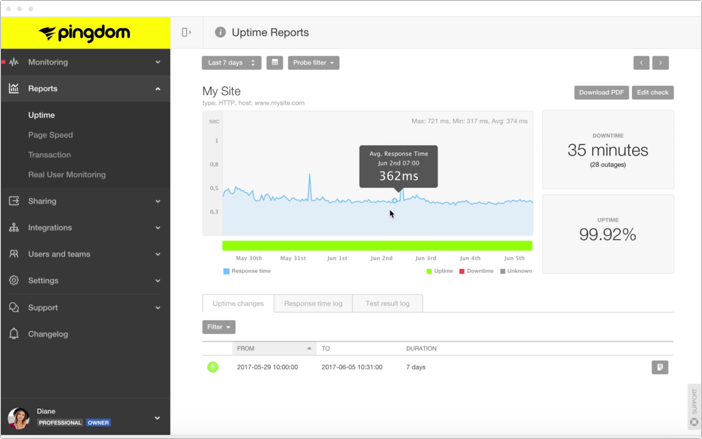 Your site performance is crucial for your content marketing success, so monitoring your site Uptime should be part of your analytics toolset (here’s more on Uptime and why it is so important). Pingdom is my preferred way to make sure my site is up and running.